LONDON, UK, July 27, 2012 (ENS) – As the first day of the 2012 Summer Olympic Games dawns with the ringing of bells across Britain, the grassroots campaign group Greener upon Thames is calling on Olympic organizers, visitors, suppliers and sponsors to avoid the use of single-use plastic bags. In an open letter to Olympic organizers published Wednesday in the “The Telegraph,” the group compliments the London Organising Committee of the Olympic and Paralympic Games (LOCOG) for making all of its official shops plastic bag free and urges everyone to refuse plastic bags if they are offered by other shops. “While an individual bag may appear inconsequential, we use over eight billion each year in Britain alone, and this number is increasing,” Greener upon Thames states in its letter. The Greener upon Thames letter is signed by such luminaries as Conservative MP Zac Goldsmith, Labor MP Siobhain McDonagh, British broadcaster and naturalist Sir David Attenborough, primatologist Dr. Jane Goodall, adventurer David de Rothschild, and Americans actor Jeff Bridges, musician Jackson Browne, environmentalist Bill McKibben and some 50 other authors, scientists and founders of environmental groups as well as athletes like ocean rower and environmentalist Roz Savage and Olympic Gold medalist in rowing Andrew Lindsay. The group’s plastic-bag-free London 2012 petition has attracted signatures from around the world since it was published on November 5, 2010 on the GoPetition International website. The world uses over 1.2 trillion plastic bags a year, which comes to around 300 bags for each adult on the planet per year, and over one million bags being used per minute, Greener upon Thames warns on its website. “We do not permit the use of oxo-degradable plastics or compostable biopolymers, which can find their way into the household waste stream,” LOCOG says in its Packaging Guidelines. The reusable, recyclable bags available in the LOCOG shops are made from low density polyethylene which contains a minimum of 80 percent recycled material. Paper bags will only be available at certain Games catering locations for large orders of food which need to be taken away. 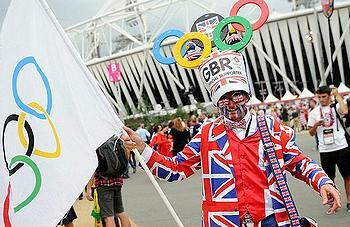 The London 2012 Olympic Games are on from July 27 through August 12. The Paralympic Games open August 29 and run through September 9.